Home Procurement News How risky are wearable devices? In today's society, smart gadgets are all the rage. People like having the ability to perform several tasks, such as texting, making calls or surfing the Web, with one electronic. The trend has even taken a step further with wearable devices. Right from your wrist or headset, you can monitor your health, check your messages and browse the Internet. These gadgets have started to be used in various industries. 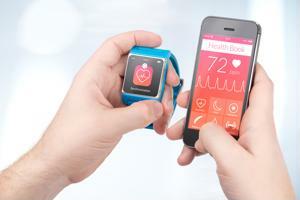 However, as helpful as they may be, wearable devices may come with more risks than benefits for the health care supply chain. Smart technology, like wearables, offers countless benefits. It can give them insight into their health and sleep patterns and allow them to send and receive messages when they don't have their phones with them. They're particularly useful when people require hands-free devices, especially in the medical field, Property Casualty 360 explained. Doctors and nurses may need to communicate with their peers in other departments or different hospitals. However, if they're always on the go, with a patient or performing surgery, they often can't access computers or hold phones in their hands. Smartwatches and things like Google Glass offer health care providers the same communication tools without the hassle of holding onto the device. They also help them take notes via video and voice recordings, which they can then return to later to help determine treatment. Wearable gadgets are also helpful to consumers trying to monitor their own health. When they have the devices on their wrists, they are able to track their sleep, steps and calories. However, this user-collected data may be much more useful for their overall health, according to The Huffington Post contributors Vala Afshar and David Peterson. This information can be shared with doctors to offer more insight into their wellbeing than just a once-a-year appointment can give. The data can be used to provide a more customized patient experience that focuses on what the person needs to improve their health. While these devices can be beneficial to health care, they also come with their problems. They store an abundance of personal information, and if those details get into unauthorized hands, health care providers could be violating the Health Insurance Portability and Accountability Act that protects medical records from becoming public. If doctors aren't careful with the information they are collecting, they could create issues for both themselves and their patients. The devices' capabilities can put health care providers in a tough position. While recording video and voice can be useful for determining treatments, they can also pose security risks, Paul Martini, cofounder of iboss, told Security magazine. People's own wristbands can also be hacked, and their information can be accessed by anyone who has the knowledge, tools and will to do so. This calls for stronger security measures throughout the supply chain, from production to consumer usage. Manufacturers must implement virus protection and firewalls to protect their customers, while businesses should establish guidelines and protocols for using the wearable devices at work.